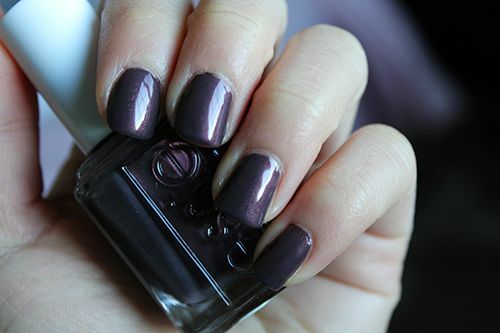 Temperatures have been a little cooler here in Edmonton lately, causing me to reach for darker shades of polish yet again. 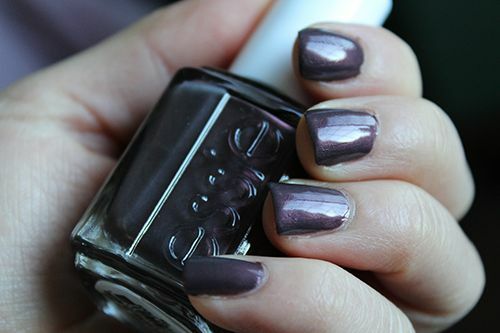 This week on my tips I have Sable Collar from Essie's 2013 Winter Collection. Folks, this shade is stunning. A purple-brown base packed full of purple and red shimmer throughout, Sable Collar looks different at different angles and under different lighting. Sometimes it appears dark purple (as above), and other times it appears reddish brown with a warm purple hue. 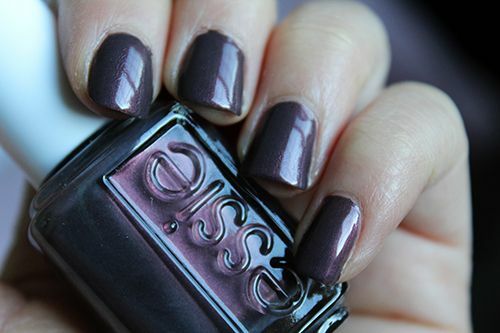 The formula flows well, and at two coats you achieve opacity, rich colour, and 4 full days of chip-free wear. 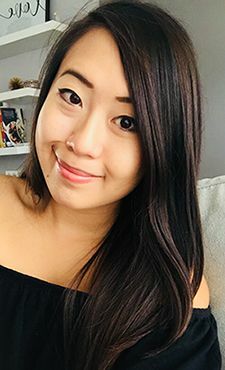 If the temperatures continue to trend downward, I'll probably be reaching for this colour again and again. I really like the color. It is a pretty shade and in nail polish I think I geared much to this shade.